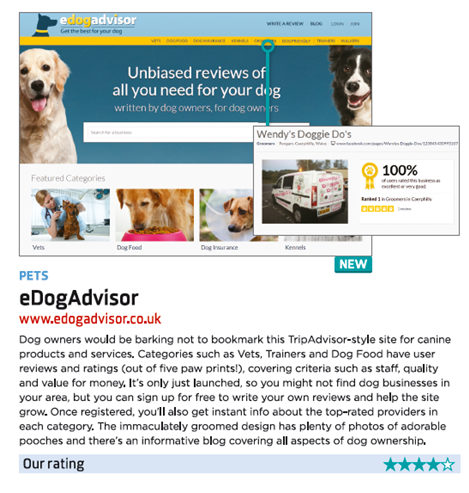 eDogAdvisor, the UK’s Dog Review Website, has announced the winners of its inaugural awards for their top rated dog businesses and services. 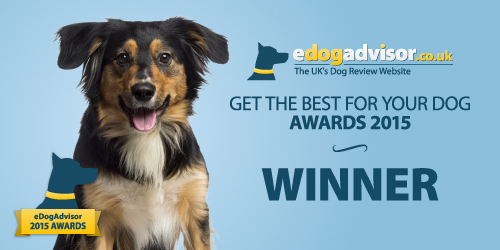 The Get The Best For Your Dog Awards have been awarded by eDogAdvisor to the top rated products and services in each of their review categories based on thousands of reviews left by dog owners since the website launched last year. Telegraph states "Trip Advisor for dog owners' launched". "A website designed to offer unbiased user-generated reviews on all aspects of owning and caring for a dog has been launched. eDogAdvisor aims to collate impartial reviews for services including pet food, vets, insurance, kennels and groomers,in the vein of Trip Advisor. Once users have created a profile through which to post a review on the site, they will be able to view the highest rated providers in their area for each category. 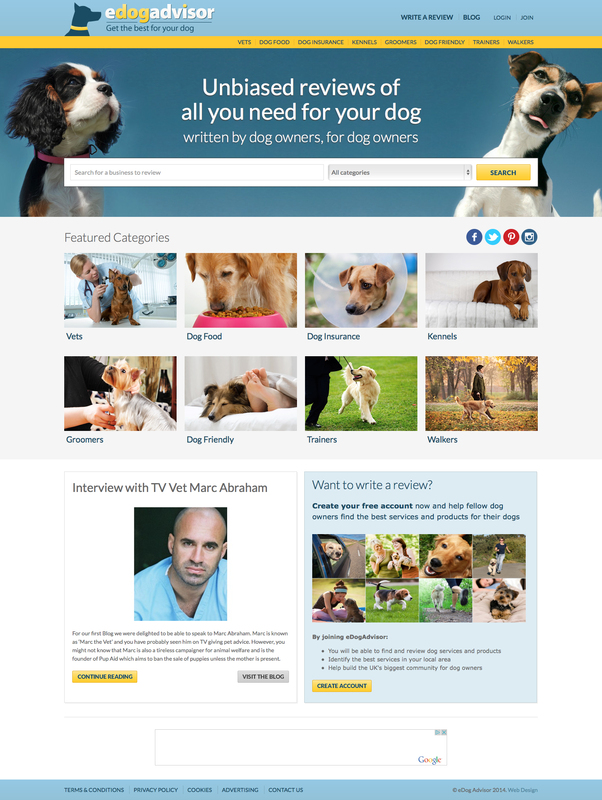 The site has also enlisted the expertise of TV vet Marc Abraham and dog behaviourist Nick Jones to offer advise and share their views. Around a quarter of households in the UK own a dog, of which there are around eight million across the country." London, UK – 22 August, 2014 – Today, new social ‘petworking’ website eDogAdvisor, has launched its unbiased, user-generated review site for UK dog owners. At present there are numerous specialist sites for most breeds, but information is limited and the content is rarely impartial and does not offer the opinions and perspectives of end-users. 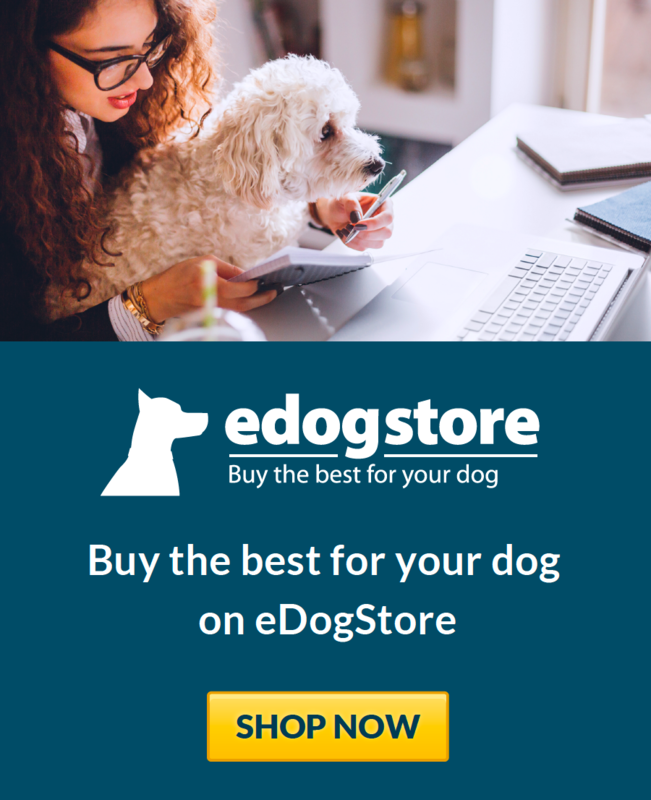 eDogAdvisor aims to fill a gap in the market by providing user reviews for all the services that dog owners need such as vets, food, insurance, kennels, groomers and pet friendly holidays in a single place.